Global Detox is Necessary To Radiate Calm that Transcends Normal Understanding! This has been an incredible month of Global Detox for all of us. 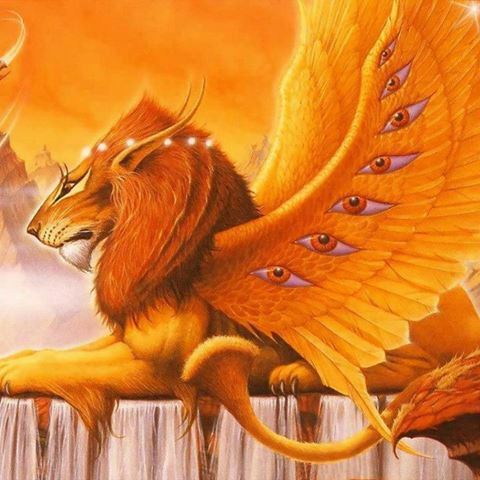 With the second full moon on the Aquarius/Leo axis, a rare Blue Moon, following the Lion Gate activation and the first Grand Merkabah star constellation alignment we are really being asked to Surrender to the Divine. We are in the integration period for new star codes which are changing our DNA. We are also building a greater set of Divine chakras which could culminate into the twenties. That’s 20 plus chakras!!!! This is a lot to integrate in the month of August 2013. Global Evolution is zipping along! So, people are feeling tired, overwhelmed, disgusted with a lot of their choices and scrambling to change their lives in all areas. Location shifts, re-positioning in the community, or family disintegration happens then immediate new relationships appear. Surrender is the only graceful option available! I have written alot about what has needed to happen for this highly emotional time to flow in grace. Please read some of my other blogs if you are in need of comfort or confused. There is so much free information available online also! Research!!! In this blog, I am going to talk about our bodies. The whys and hows of this purification period and why it is necessary if we choose to move into higher dimensions. For, after all, this is a CHOICE. All will ascend, one way or another, yet those of us willing and ready to take the steps of FAITH in the body we have will be most interested in this information. We are ascending to the 5th dimension in these bodies yet must make the necessary changes in diet, exercise, spiritual bliss-aplines, thought, feeling and word to achieve this transformation into light-er bodies. My intuitive hit, on this incredible gift of a situation, is we must purify our thoughts, emotions and our physical bodies. The heaviness that many of us are feeling at this time means we are processing many past traumas at a deep level. What does this mean? Everyone born onto Gaia at this time has lived many times before. We have all chosen to be here at this time to help with this transition into higher dimensions. We all have endured many traumas and wounds in this life and in all the others. We are feeling the rapid release of all this emotional stuff that has been trapped in our bodies. Many who are waking up and acting out around us need help. They are the uninformed and we are just those who have awoken first and integrated our Divinity to be ready to help others at this time. We are like the wounded Shaman turning back to help others through the door into the LIGHT. THIS IS THE ‘COMMUNITY’ WE HAVE BEEN TALKING ABOUT FOR THE PAST FEW YEARS! We are all MASTERS. We have all endured trauma of one kind or another. There is no one person on this planet with all the answers. We all have different pieces of the evolutionary puzzle… to share! We are ALL waking up now! We are ALL sharing the energy of the Aquarian Age and the seventh ray of CEREMONIAL ORDER AND MAGIC. The seventh ray fuses the soul and the personality and the resulting reorientation of an individual’s life purpose and direction. It brings out all the latent spiritual qualities contained within any given form. Bottom line: Upgrades occur within the body to achieve it’s higher octave! We are really only beginning this process now. It involves some stress to uncover blocks and Divine surrender to stay in the flow. Great highs and great lows. Balance is key. What do we do daily to stay balanced? It is imperative to stay in a high vibration and remain authentic no matter what is thrown at you. Laugh, sing, dance, make art, write, play an instrument, play at anything, have fun. Let’s find what makes us happy on a deep soul level then do that!!! Let’s get help with our bodies if we need it. Eat local organic, unprocessed foods, limit technology, play in nature alot. Find joy in every moment especially if we are caretakers! Ask for what we want. Put our needs, not wants, first. Simplify and find the magic in our lives NOW!!! BE kind to ourselves, all other beings and Gaia Herself! No more coulda, woulda, shouldas! This is not a drill, its all happening NOW!!!!!! Blessings to you! This New Moon in Leo is all about living our life purpose and creating through our hearts. We have moved through the global detox, called the Lion’s Gate spiritual opening, to prepare for the peak moments of this new energy. Full culmination and integration of these new Solar/Lunar codes will continue throughout August including another bookend Merkabah star formation. Exciting, huh? Most people, I have heard from, run the gamut between ‘bouncing off the wall’ high energy and deep personal energy drains with necessary napping during the day. This is all normal behavior when we are receiving large doses of light that will literally change our DNA and re-wire our minds and hearts. We are morphing globally! How can we do all this and carry on with our busy days? Let’s stay in touch with our body wisdom. Our bodies tell us what to do and what we need at every given moment. All we have to do is listen. Back to this startling New Moon in Leo. It is time to shine. The asteroid Vesta is in close conjunction to this new moon nudging us, with the paw of the Lion, to focus on our life’s purpose. This is the time. Doors are opening now. Be a light. Be in service. Be in your joy, that is your purpose, that IS your mission. Embody your star consciousness. Get out there. Share yourself. SHINE!! Roar with the heart of the Lion. Live from essence rather than ego. Increase the capactity for LOVE. 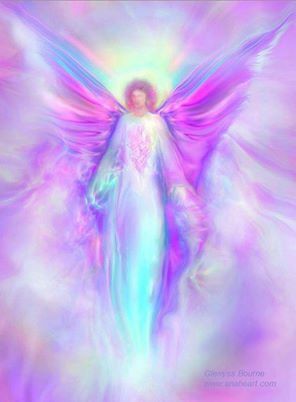 These are magical times of empathy, accountability and altruism and we are so privileged to be here on Gaia to share, witness and activate these angelic qualities into the mass psyche. ***Many very spiritual people have been appalled at the things they have been releasing, things that they thought were already gone from their being. This period of time is a very deep cleansing and we must observe with detachment, embrace and then release our feelings in that order. This practice will help you with others who act out around you also!